She thanked the firefighters and first responders for responding to the blaze. “Firefighters are arriving. Thank you for all that you do for us!! !” she wrote. Later in the night, the “Keeping Up with the Kardashians” star posted a picture of her with her three children. “North is always a mood,” she wrote. Kardashian’s sister, Kourtney, also evacuated her home. 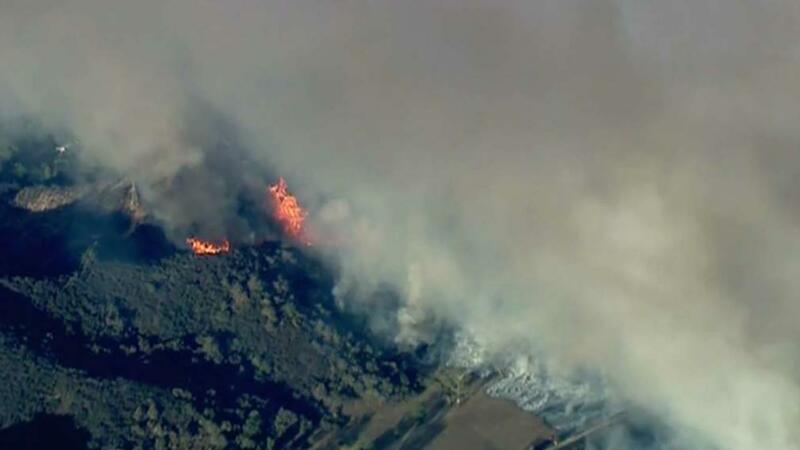 On Thursday evening, the Woolsey and Hill Fires were whipped up by powerful winds that pushed the wildfires through canyons to the edge of Camarillo Springs and Cal State Channel Islands, both of which were evacuated, according to the Los Angeles Times. Fire officials said they expect the two fires to burn all the way to the ocean.